The longer I waited at Eileen's to place my intended order of "two oatmeal raisin cookies please" the more the oreo cheesecake kept calling my name. "Pick me! Pick me! I'm so delicious! Please! I promise I'll be very tasty". 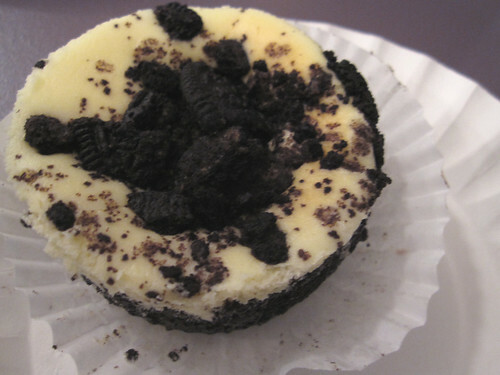 Happily the oreo cheesecake neither disappointed nor lied. i absolutely adore the brevity of your posts and how they manage to convey so much with so little.